Congratulations to the Senior hurling team after an excellent one point win over St. Pius X school in Templeogue. It was a very close encounter all the way through with the each team holding the lead at various stages of the game. St. Joseph’s. led by a brilliant performance by the captain Ciaran Nagle fought bravely to maintain their advantage. Congratulations to all the boys and their mentors, Mr. O’Malley, Mr O’Riain and Mr. Reale. We had a monster table quiz with all the boys and girls from Sant Ignasi joining the boys from 5th and 6th classes in St. Joseph’s. There were 34 tables with 4 contestants on each. Competition was intense. Thanks to Ms. Bleahene, Ms Lynch, Mr. Ring and Mr. O’Riain for their work in organising and running the quiz. After 11 rounds of questions we had a winning team. The first four teams received prizes for their efforts. Congratulations to all the girls and boys. The teachers and boys in the two fifth classes prepared a ‘food fest’ for our guests in St. Joseph’s. The preparation started early. The school hall had to be converted into a restaurant in a very short time. The boys brought in a fantastic array of food. There were dishes prepared to suit every taste. The boys were joined by our Comenius guests and they had a main course followed by dessert. All the food that was brought in was eaten and had to be followed by a cleanup. Many thanks again to Ms. Bleahene, Ms. Lynch and Mr Brennan for all the hard work in organising this event and to all the boys and parents for providing the food. In the morning the guests were treated to a performance of ‘Pup Fiction’ by Mr. O’Flynn’s class. This was a very big week in the life of St. Joseph’s. Monday we started proceedings with a nature walk to Bushy Park led by Andrew, our visiting environmental expert. The boys from Ms. Bleahene’s and Mr. Brennan’s class accompanied our guests. The boys and girls from Barcelona brought the sunshine with them as we went looking for the first signs of Spring in Bushy. Thursday the guests told us all about their schools and their families. They did it really well and their English was really good. This was followed by a concert given by various boys and classes in the school. We had brilliant performances from Mark, Micheal and Max in sixth class. Ms Hogan’s, Ms Durkan”s, Ms. Maher’s and Mr. O’Flynn’s classes and Ms. O’Riodan’s recorder band all performed and entertained us with a fantastic show of talent. Thanks to Ms. O’Riordan for co-ordinating this concert. This was followed by an international football match in the school yard. 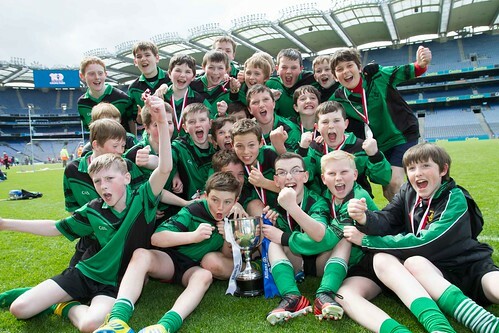 On Friday the guests went to Croke Park and as the boys and girls from Barcelona returned home the pupils and teachers from Italy went to Dublinia. They returned to Italy on Saturday morning. This was a great week in the history of St. Josephs school. The boys showed great hospitality and they put in a big effort in making the guests feel welcome. A special word of thanks also to the teachers for their huge amount amount of preparation and organisation that made the week such a success. Two past pupils of St. Joseph’s, Ciarán Flanagan and Michael Varley (who still have brothers in the school) won All-Ireland gold for Dublin in Ballymore Eustace, Co. Kildare on Thursday, 4th April in under 15 doubles when they defeated Cork in the All-Ireland Under 15 Doubles Final. 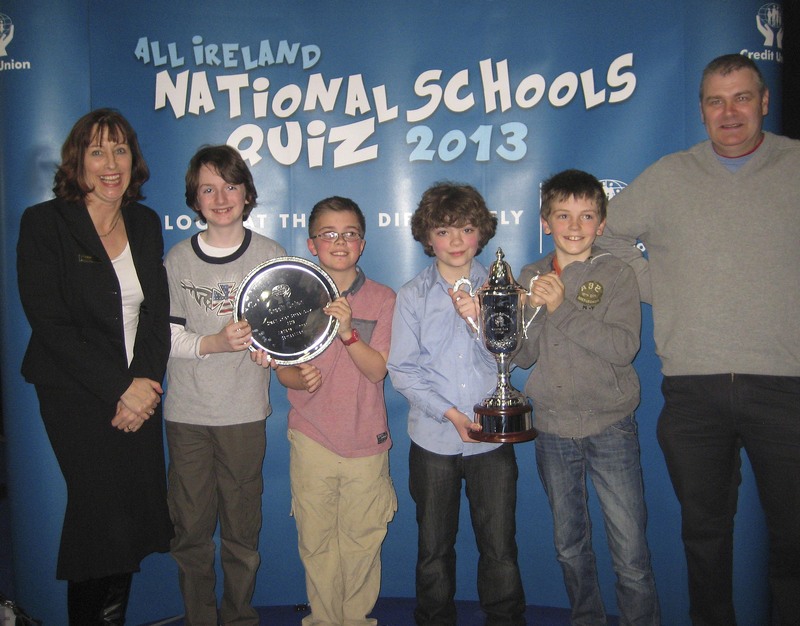 In the past both Michael and Ciarán won the school league – a sign of things to come ! The match against Cork’s Kevin O’Connell and Darragh Moynihan was a thriller which saw Dublin take the first game 15-10 after leading throughout much of that game. In the second game Dublin again powered ahead with an early lead but Cork clawed their way back into the match with some fine play, in particular from O’Connell. Both sides served for the game at 14 each but Cork closed it out with a powerful serve from Moynihan. In the tie-breaker there was some fine play from both sides with Michael Varley being put under severe pressure from powerful Cork serves to his left hand. However, he kept his nerve and returned most of them to enable Dublin take an early lead. Ciarán Flanagan’s powerful serve and safety play, in particular his finely measured roof shots which repeatedly paid dividends, ensured that Dublin’s early lead was retained. However, Cork remained very much in contention throughout the game. Michael Varley’s volley shots and a crucial right corner kill which rolled out to the opposition at 13-9 saw Dublin serve for the match. The final rally of the match was nerve wracking for players and supporters with a miss by Cork seeing Dublin clinch the title. 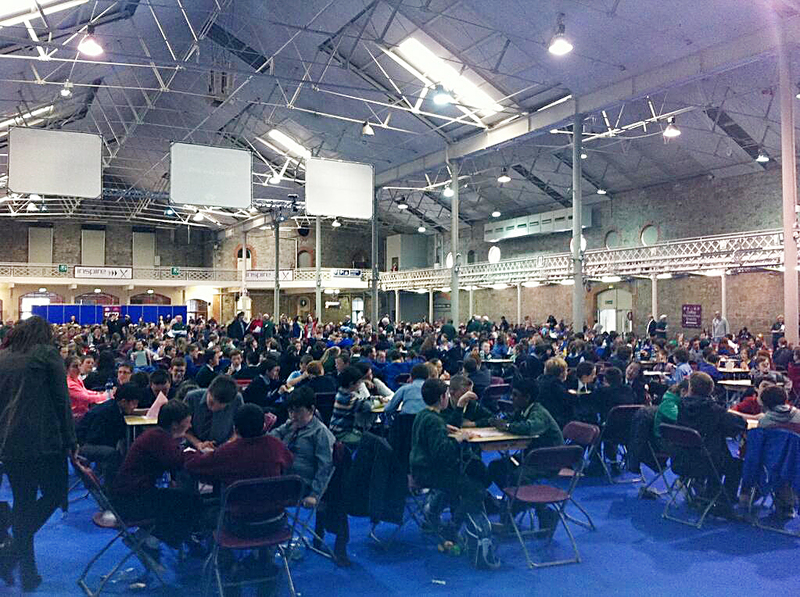 Congratulations to our junior quiz team who won the All Ireland final of the Credit Union quiz in the RDS yesterday. Jacob, Gavan, Eoin and Fionn were up against the best 50 teams from all over Ireland and after 60 questions came out on top with a fantastic score of 55. They answered questions on such diverse topics as Einstein, Bob Geldof, The Hunger Games and prime numbers. Back in February we won the local final in Rathfarnham and then followed on with a victory in the South Dublin area final but we saved our best performance for the big day. We wish to thank Rita Cullen and all at Rathfarnham and District Credit Union who we were representing. Every year around 20,000 primary school students from all over the country take part in this event and while learning, developing teamwork and enjoying it is a priority these boys’ achievement, a first for the school, has to be applauded.